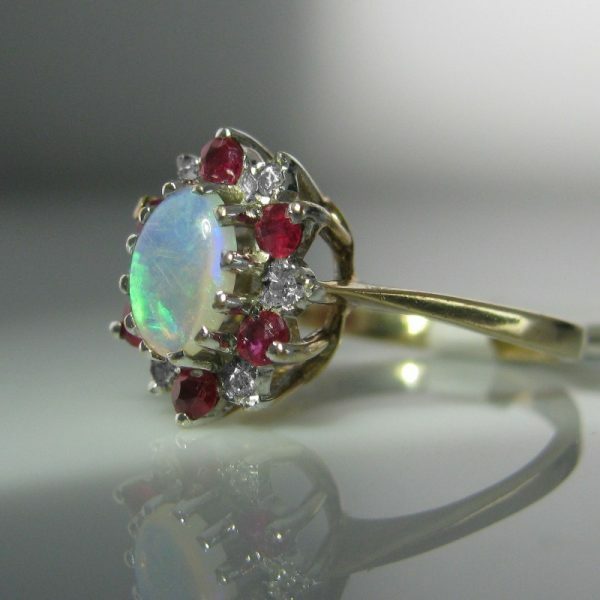 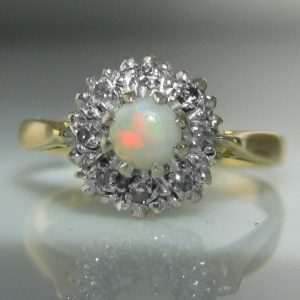 A beautifully unique opal, diamond and ruby ring in 9k yellow gold. 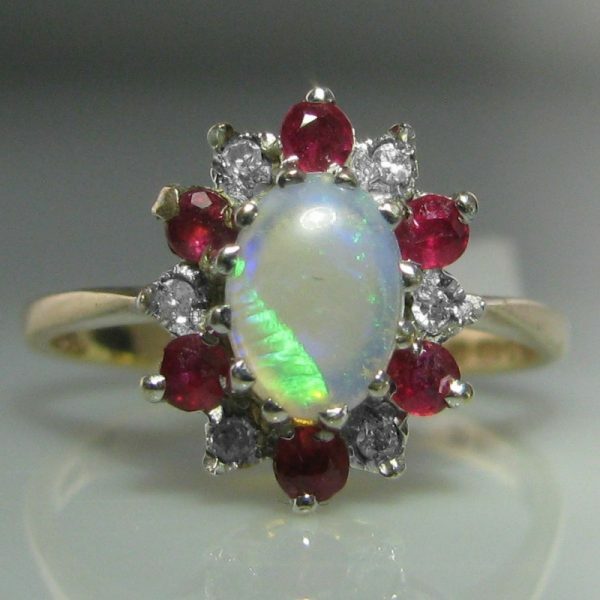 A fiery opal is surrounded by six luscious rubies and six round brilliant cut diamonds. 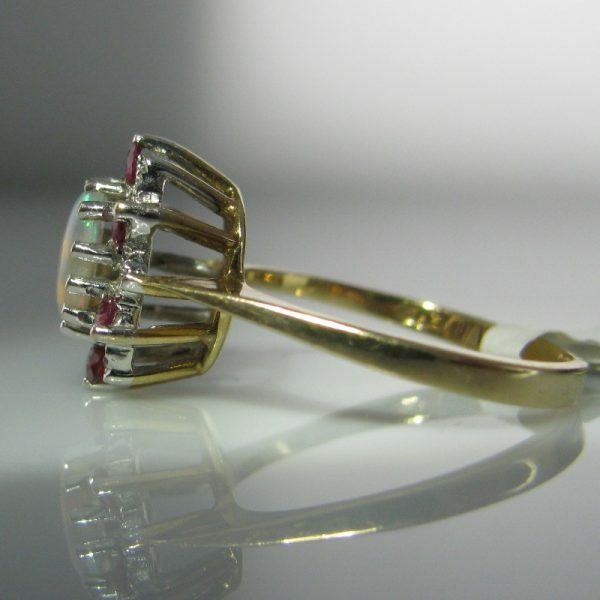 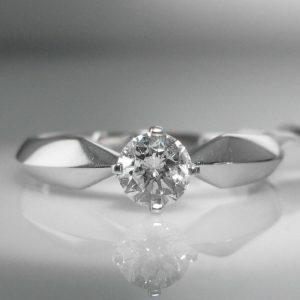 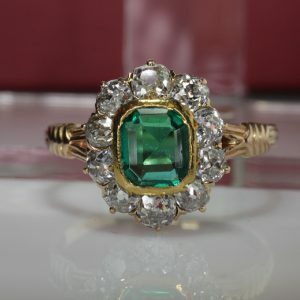 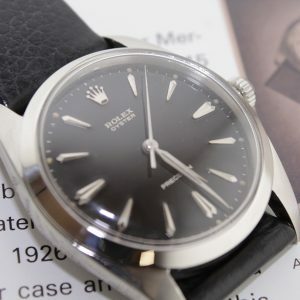 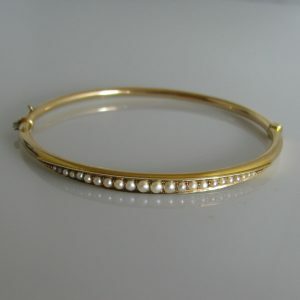 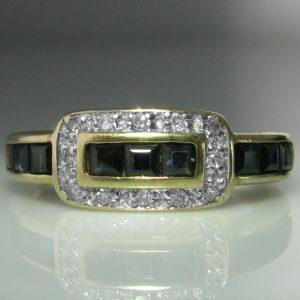 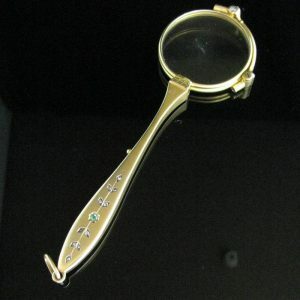 Ring size: M (This ring can be resized if required).